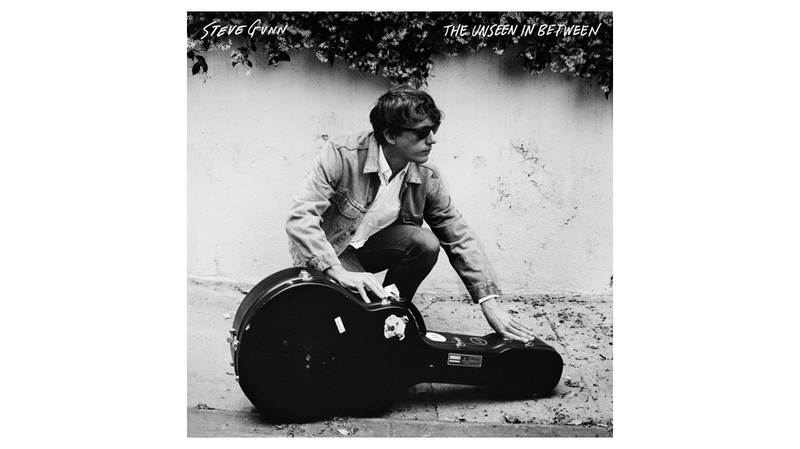 Over the years, Steve Gunn has slowly staked his claim as one of this decade’s primary songwriter/guitarist troubadours. The Unseen in Between further cements his resume, offering a fine collection of breezy narrative-driven tunes. In the past, a lot of attention has been drawn to Gunn’s guitar prowess. Indeed, his scraggly yet deft guitar work is all over this album, but it’s never the centrepoint. While the guitar drives most tunes, Gunn rarely goes for an attention-grabbing solo, or dives into a particularly complex guitar figure. Instead, this beautifully-produced album builds its tracks through snatches of ringing reverbed guitar, swelling synth chords, or even strings on opener New Moon. That being said, most of the songs feature tasteful guitar work. Most catching is the hypnotic figure underpinning New Familiar, but even a song as warm and understated as Luciano has a great guitar line for those who watch out for it. The primary focus here, however, is on the songwriting. Helping matters is Gunn’s voice, which has grown in confidence. On Stonehurst Cowboy it’s just Gunn and an acoustic guitar – an approach he has rarely attempted before. His soft timbre and phrasing are excellent here, and throughout the album. The song is a highlight, a touching narrative about Gunn’s father who passed away from cancer. Other songs are not as overt lyrically, instead preferring a more abstract story-driven approach. Gunn has a soft spot for those that live between the lines, and these fly-on-the-wall sketches have a homespun, dreamy quality. Luciano is about a bodega owner and his cat, and is a lovely, warm tune. Vagabond – a study in Gunn’s prototypical drifter – is the album highlight, a rolling country-inflected tune with some great snatches of electric guitar. Chance is about those that don’t get a chance, left to fall through society’s cracks. Elsewhere, Gunn tries out some different atmospheres. New Familiar is a hypnotising folk-rock raga. Lightning Field is a driving number whose layers of overdriven guitars create an ethereal effect. Paranoid channels Karma Police by way of Cat Stevens. And opener New Moon is a galloping, incredibly atmospheric tune carried by tremolo guitar and harmonica. This is a lovely little album. It has the limitations that come with an artist like Gunn – it’s a bit boring in spots (the track Morning Is Mended could have been culled), nor will it be an award-winner – Gunn’s sound is too off-the-cuff to garner such attention. But for those willing to give it a few spins, it will slowly win you over.